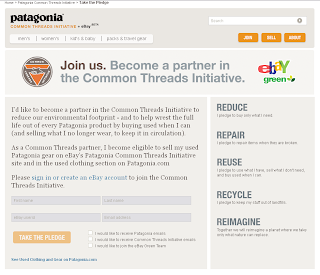 Patagonia and eBay's site for the Common Threads Initiative. Everything we buy has to come from somewhere, uses resources to create, and uses resources to find its way to our front door. What if a clothing company told you not to buy any of their new stuff unless you need it? What if, instead, they encouraged you to buy used stuff from others, and to pass your used stuff on? 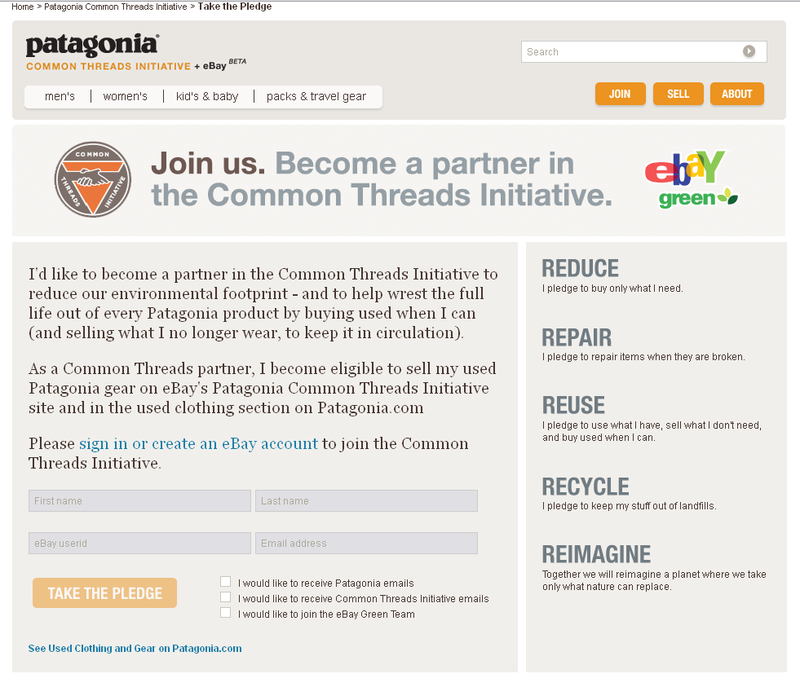 Outside Magazine reported today that Patagonia and eBay are partnering up to create the Common Threads Initiative. It's a way for those of us who have gear we don't need or use to pass that gear on to others because, as eBay CEO John Donahue says, "the greenest product is the one already made." After you've taken the pledge to "reduce, reuse, recycle, repair and reimagine," you can sell pre-owned gear and clothing from Patagonia in a special forum on eBay using an eBay account. Items also appear on a special used clothing section on Patagonia.com. So, all you need to do to start passing on Patagonia duds you don't wear anymore is to take a pledge and sign up for an eBay account. Simple. This is one of the best ideas I've heard in a long time, and it's no surprise that Patagonia is behind it. I love the idea that there's a company socially responsible enough to make it easier for people not to buy their stuff. 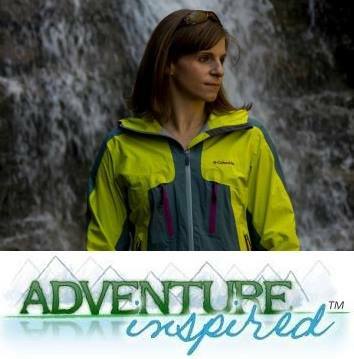 When I read this article, which is now over a year old, it got me thinking about how paradoxical our love for wild places and what we think we need to explore them can be. What if the fancy new Gore-Tex jacket or super light backpack we think we can't live without actually harms the wild places we're so adamant about protecting? It's a serious internal argument I have every time I invest in a new piece of gear and speaks to a wider general issue with consumerism. Don't get me wrong, I'm certainly guilty of buying things I don't need, but it's becoming easier to make smarter choices about products with companies like Patagonia working toward change. Find out more about the Common Threads Initiative, then get in on the action! What are your thoughts on this approach to sustainability?